I’m one of a couple of dozen writers invited to contribute to this fine anthology, an entertaining and eclectic collection of personal writings by a diverse group of talented writers. 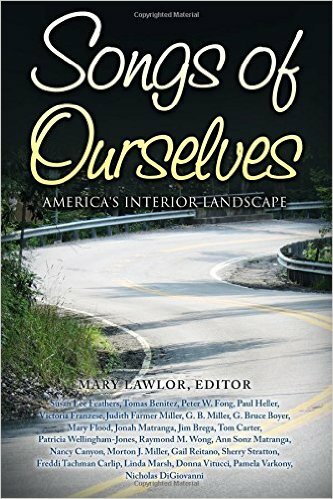 The title, of course, riffs on Walt Whitman’s “Song of Myself” and his paeans to the open road ahead and to life lived with an open heart. And these essays, each in their own way, all share some of Whitman’s passion for the life he saw bursting out all around him. My contribution, “Man Has Premonition of Own Death,” consists of ten essays on the theme of mortality — and lives remembered, including the story of my ancestor Thomas Crooks, a young man (my maternal grandmother’s brother) who, according to a newspaper report in the 1920s, did indeed glimpse the Grim Reaper’s shadow. The book is published by Blue Heron Book Works and is available via Amazon (http://www.amazon.com/Songs-Ourselves-Americas-Interior-Landscape/dp/0996817743) and makes for an excellent stocking stuffer!